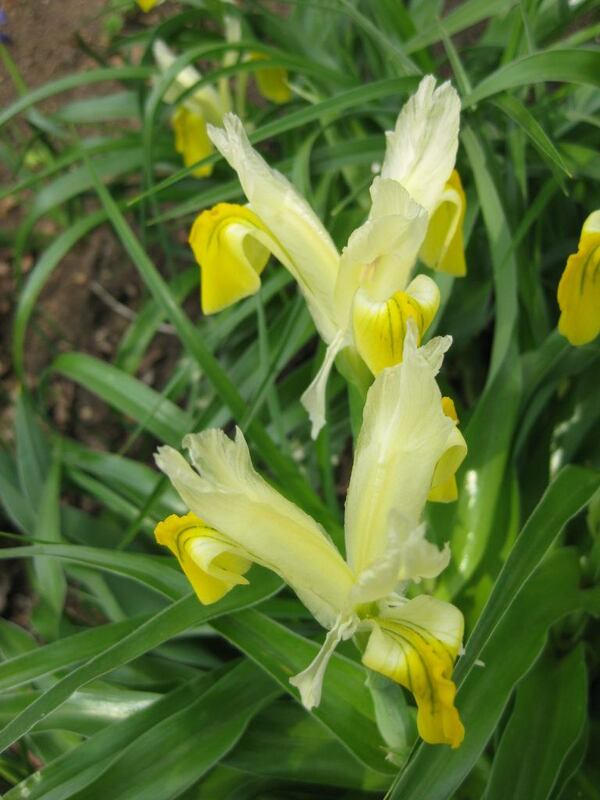 Today was beautiful and sunny with a high near 60 degrees F. Plants are really starting to awaken out in the gardens now. 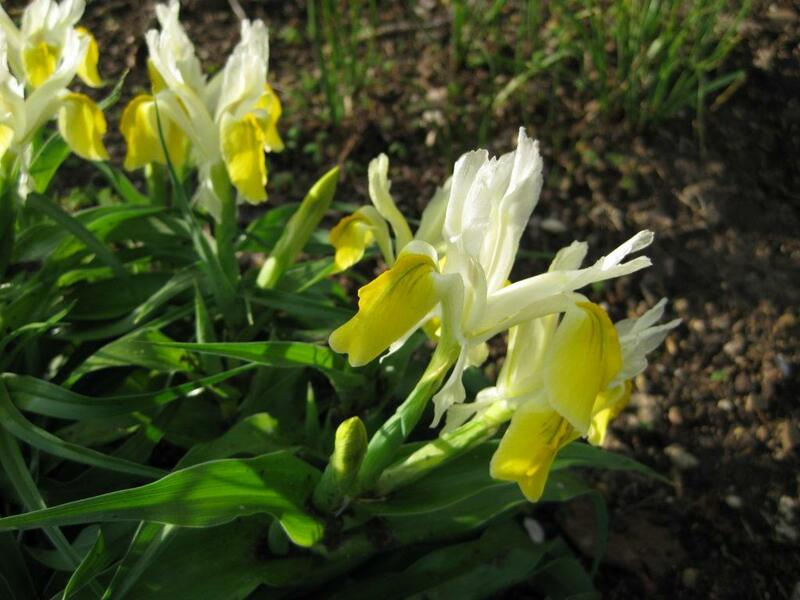 Daffodils (Narcissus) are starting to bloom with many of our “minor bulbs” like snowdrops (Galanthus), winter aconites (Eranthis hyemalis), striped squill (Puschkinia libanotica) and Siberian squill (Scilla siberica) are still going gang-busters. 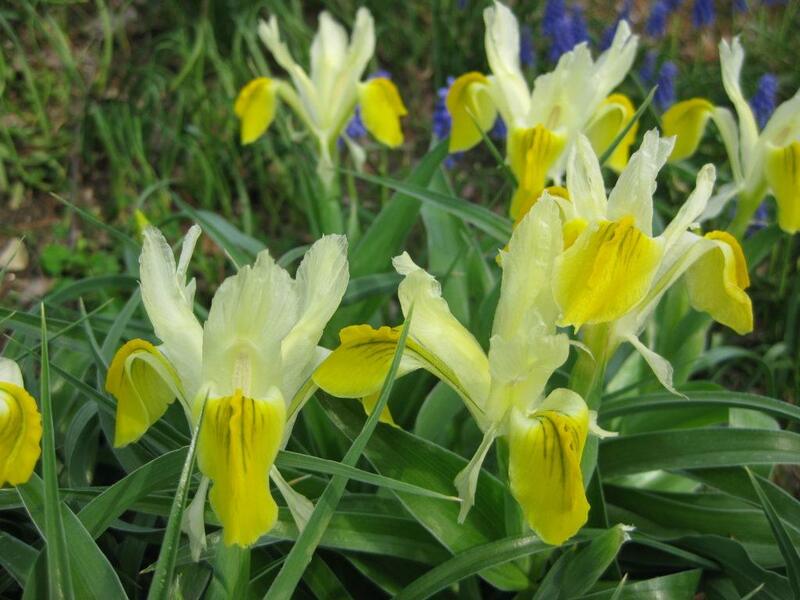 The bulbous iris (Iris bucharica) that I’m featuring here is a May bloomer and we have many of them out in the gardens. 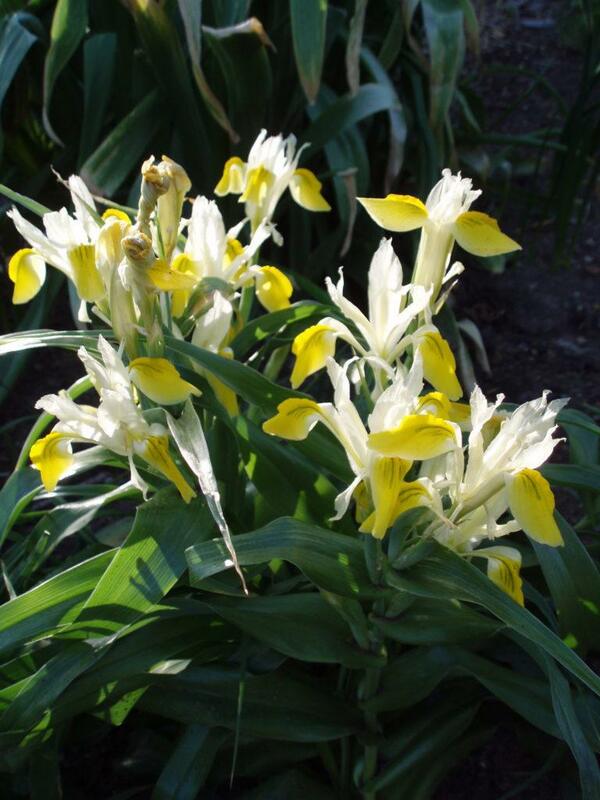 I always enjoy seeing them and they’ve come perennialized nicely out in the gardens. 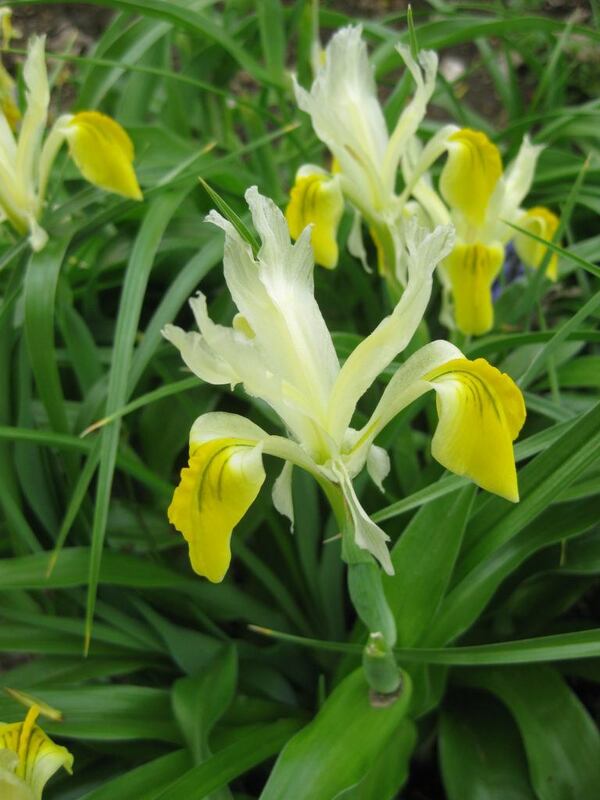 Also called Juno iris, this plant is native to temperate Asia and is hardy from zones 4-9. 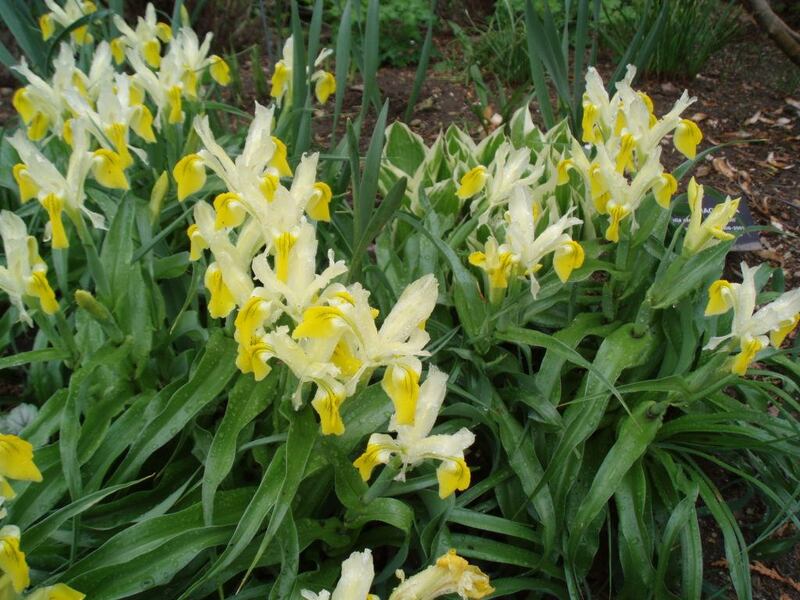 It’s called corn leaf iris because the glossy green foliage is arranged alternately in a stacked format, a lot like corn leaves! 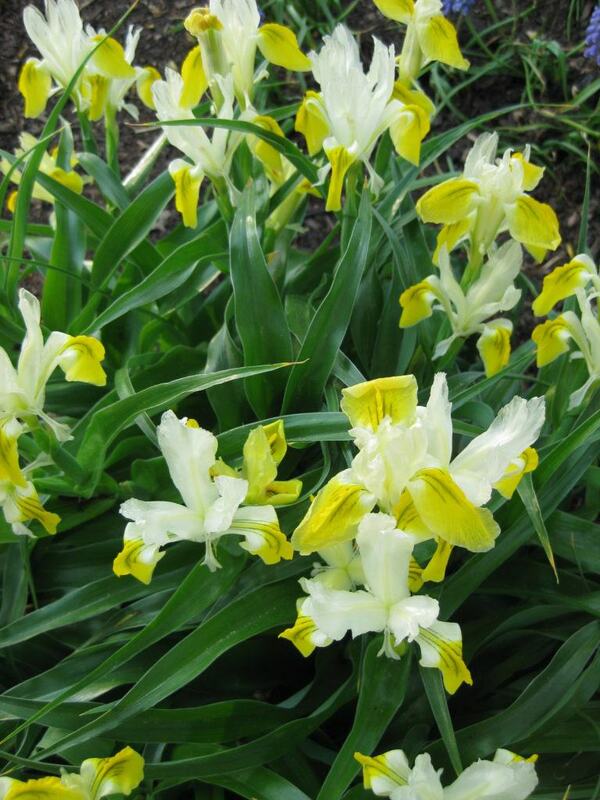 Blooming in full sun or part shade, this iris only gets about 12″ tall and likes good drainage. 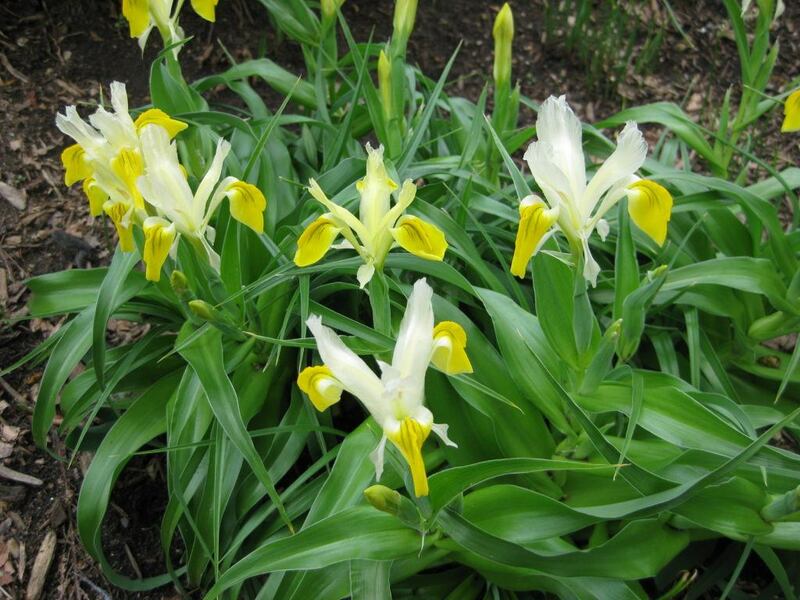 We have some nice groupings in our shade garden where this bulb gets ample light in the afternoon and with the overhead canopy weeks away from totally “foliating”, plenty of light reaches this plant. 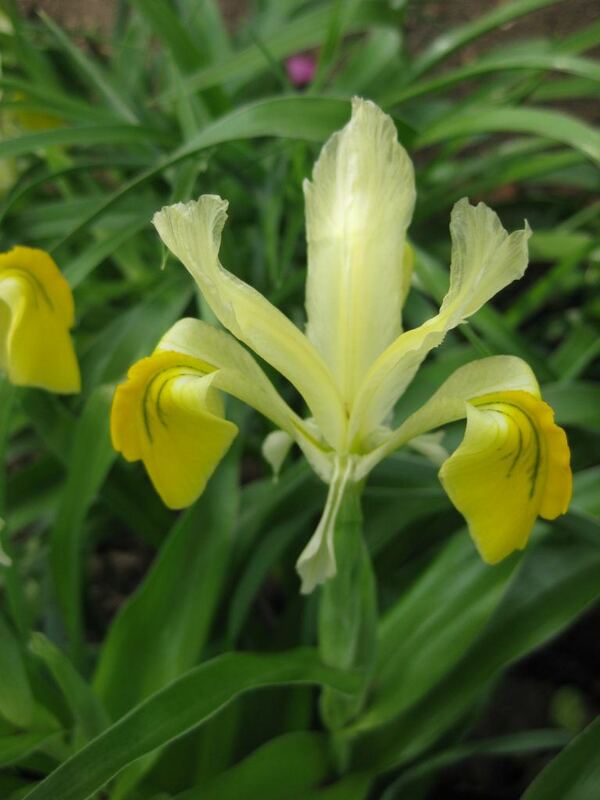 This iris gets its species name from the town of Bukhara, Uzbekistan which is in the native range for this bulb. 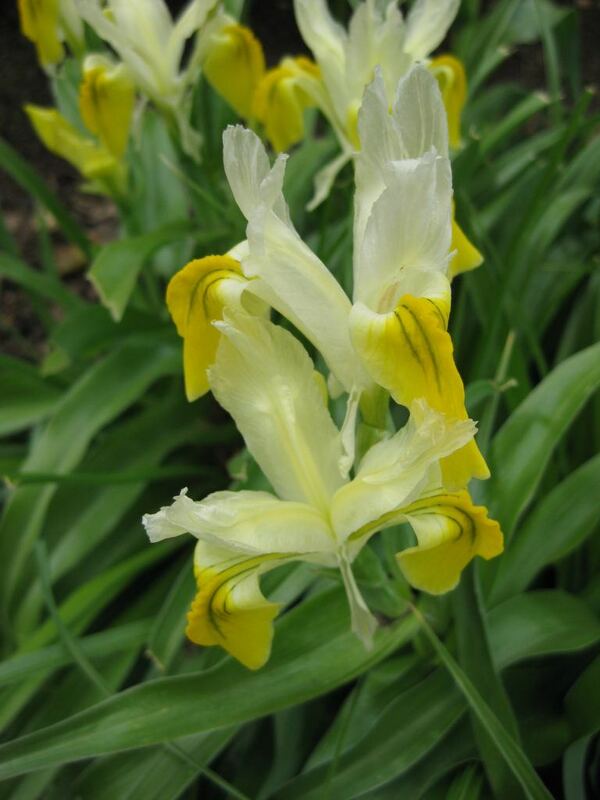 The flowers have white standards and yellow falls which are botanical terms but ultimately the yellow and white combination is readily visible. 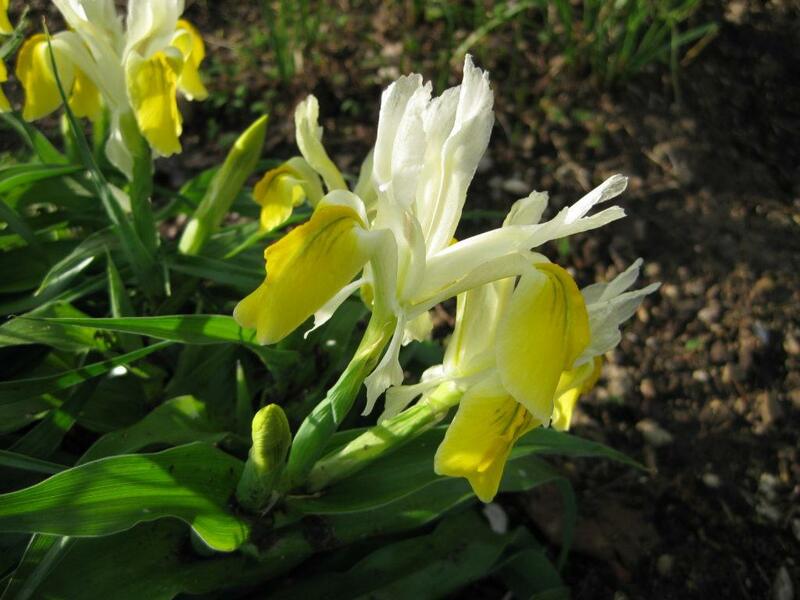 The variety ‘Princess’ is supposed to be fragrant but the primary appeal of this bulb are the flowers which typically last between 2-3 weeks. 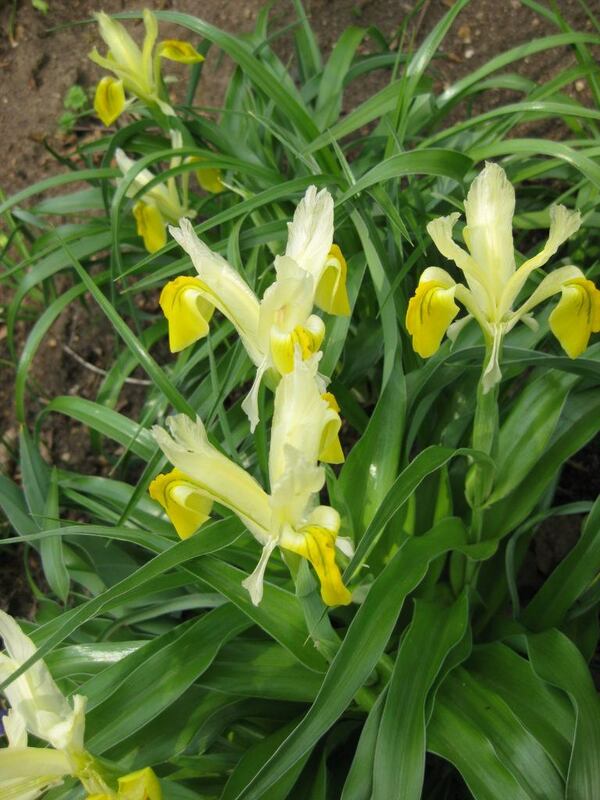 This plant then goes dormant with tulips and can be cut to the ground as the foliage turns yellow in June. 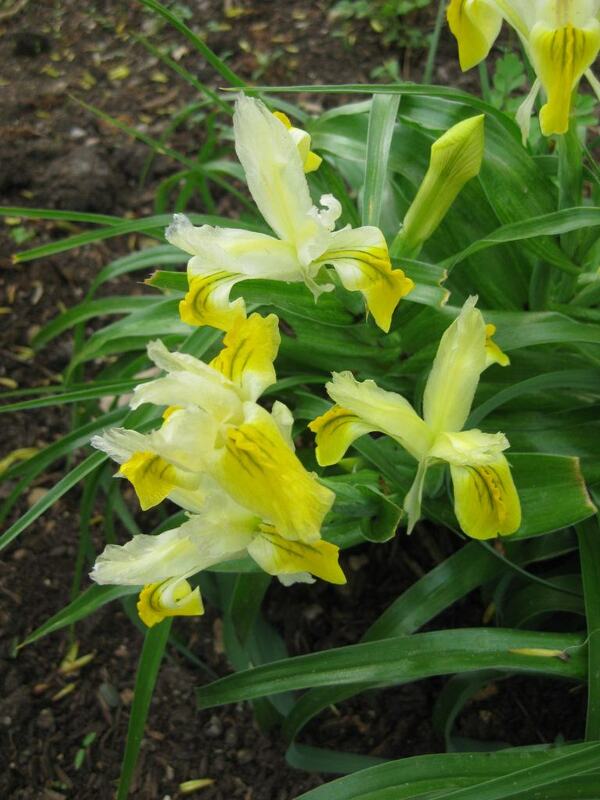 We had another great day out in the gardens with both staff and volunteers. The grounds staff includes Larry O., Big John, Bobby K. and myself. Janice popped in briefly as well. 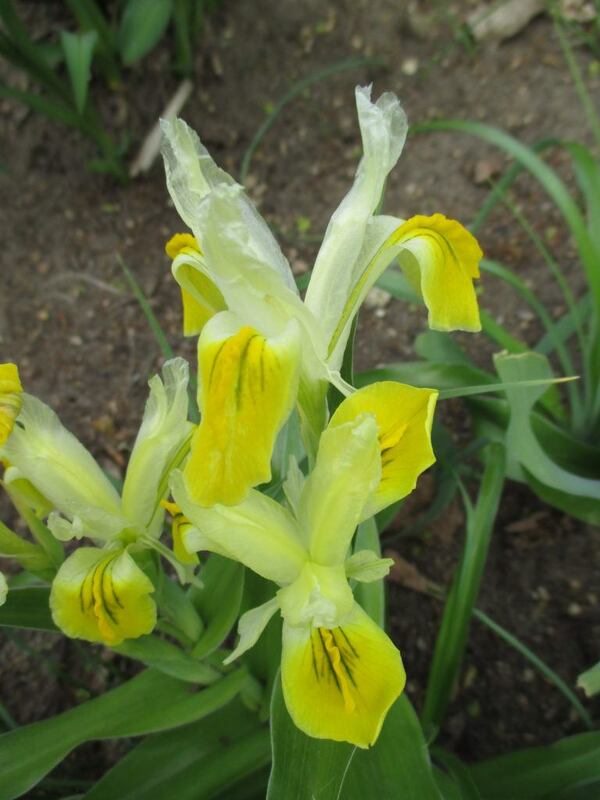 We have plenty of work going on including preparations for the Wellness Garden, garden tidying, equipment repair, etc. Our volunteers today included Jenny, Kathy P., Alan, Kay, Myrt, Gena, Nancy, Urban, Dennis, Bill O., Maury, Barb C., Nancy and many others. There was plenty of gardening going on as well as path work, pruning, equipment work, errands and label preparations. 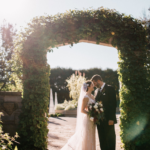 It was another busy day (which I’ll likely add to all my blog postings for the next 6+ months. ).